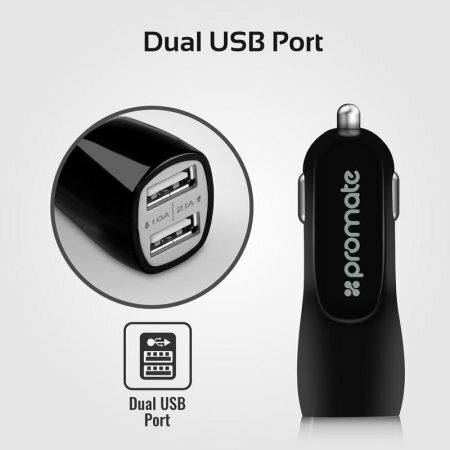 Promate ultra-fast charging car kit for USB-C devices is the ideal accessory pack for your car. 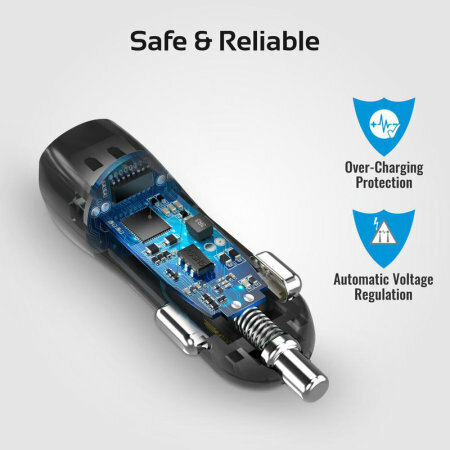 Perfect for using the GPS navigation or hands-free music listening, while your phone is on charge using the fast charging Promate car adaptor. 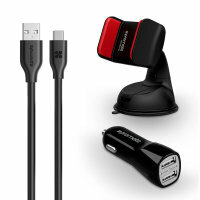 Using the Promate Ultra- Fast Charging Car Kit for USB-C Devices you can make calls, listen to music or plan your route on your GPS app in your car, all hands-free. 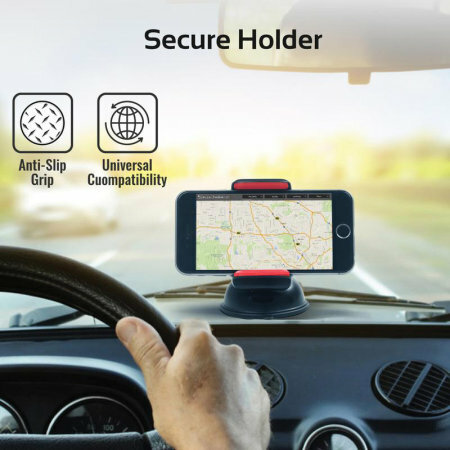 Simply fix your smartphone to the dashboard or windshield using the fully adjustable, multi-angle neck and a suction holder. The next step is to adjust the angle to suit your purpose. Coupled with a Promate Fat Charging Car Charger in your kit, you can your device while it charges. The charger will quickly power up your battery and fits conveniently into your car's cigarette lighter. The Promate Car Mount allows for full access to all charging ports, buttons and your device screen. The Promate Car Mount holder can be placed on the windshield or on the dashboard. Thanks to a strong suction cup, your device is safe from falling off even on rough driving conditions. The 360 degrees swivel head can be adjusted to suit your optimum viewing angle, landscape or portrait. 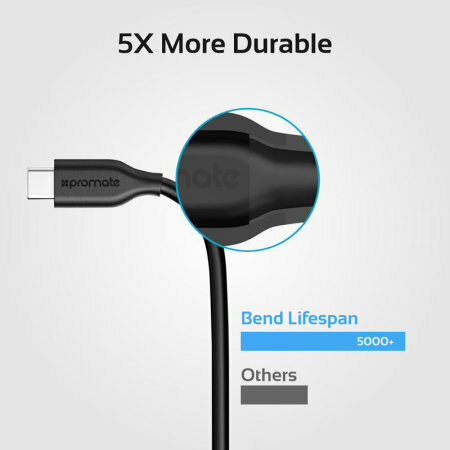 The 1.2 meter long micro USB to USB cable is included in the kit, which allows for the fastest possible charging speed. 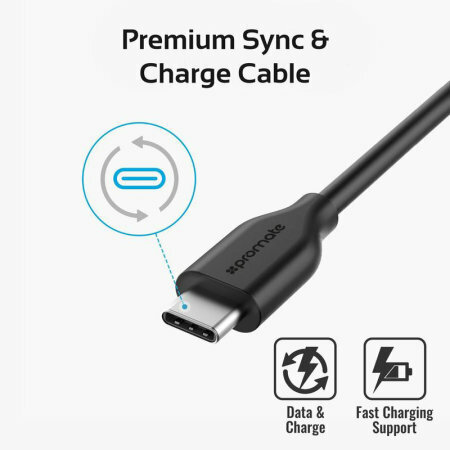 As it is removable, it can be also used to sync your device with your laptop.